Protocols were determined based on total intake score and ranged from 3 to 6 treatment sessions per week. Traction protocols were determined based on patient history and symptoms, chronicity and extent of radicular signs. Treatment frequency was determined by total points: under 150 - 3 days per week, 151 to 175 - 4 days per week, 176 to 200 - 5 days per week and over 200 - 6 days per week. Following the three-week initial phase of the study, the patient sample in this study continued to receive decompression at variable rates based on improvement. The outcome measurements are repeated at one month intervals to determine if the disability levels and perceived improvement parallel each other. Decompression of the spine is possible using axial distraction as a modality. Study limitations include remission of symptoms may also be linked to electrochemical effects and biomechanical stabilization. All but two of the patients in the study improved at least 30% or more in the first three weeks. Two did not. One drove 2 hours to and 2 hours from treatment sessions and was not expected to achieve much improvement notwithstanding. He did report considerable relief immediately after each session and understood that the driving more than negated any improvements. The other patient who did not measure any improvement did not comply with the protocol as outlined and would have been dismissed from the study due to poor treatment compliance. 1. Mackenzie R: Mechanical diagnosis and therapy for disorders of the low back. In Taylor JR, Twomey LT (Eds. ): Physical therapy of the low back. Churchill Livingstone, New York, 2000 p.26 & 143. 2. Kushlich SD, Ulstrom RN, Michael CJ: Tissue origin of low back pain and sciatica. Orthop Clin North Am (22): 181,1991. 3. Nachenson AL, Elfstrom G: Intravital dynamic pressure measurements of Lumbar discs. Scand J Rehabil Med 2 Supp 1:1-40, 1970. 4. Yong, Hing K., Kirkaldy-Willis WH:' Pathophysiology of degenerated discs of the lumbar spine. Phila. The Ortho Clinics of N. Am. Vol. (14) #3 July 83, p.p. 493504. 6. Twomey LT.: Sustained lumbar traction: An experimental study of long spine segments. Spine 1985; (10): 146-149. 7. Judkovich BD. : Lumbar traction therapy-elimination of physical factors that prevent stretch. JAMA 1955; 159. 8. Gose E, Naguszewski L.: Vertebral axial decompression therapy: an outcome study. Neuro Resarch. (20)#3, April 1998. 9. Mathews JA. : Dynamic Discograhy: A study of lumbar traction. Annals of Phy Med, IX (7) 1968, p.p. 265-279. 10. Colachis SC.et al: Effects of intermittent traction on vertebral separation. Arch of Phy Med & Rehab 1972 (50), p.p.251-258. 11. Shealy CN. Borgmeyer V.: Decompression, reduction, stabilization of the Lumbar spine: A cost effective treatment for lumbosacral pain. AJPM 1997, 7(2), 663 -665. 12. Winkle D, et al. : Diagnosis & treatment of the lumbar spine. Aspen: Maryland: 1996 p.p. 303-313. 14. Cyriax JH: Illustrated Manual of orthopaedic med, London, Butterworths, 1983 p.p. 30-40. 16. Biomechanics. In: Hochschuler SH, Cotler HB, (Eds.) Rehab of the Spine. Mosby MO.1993 p.p. 146. 17. Kushlich S: Tissue origin of mechanical low back pain and sciatica. In: Hochschuler SH, Cotler HB, (Eds.) Rehab of the Spine. Mosby, MO. 1993 p.p.595-599. 18. Natural history of the lumbar spine. In Taylor JR, Twomey LT,(Eds):Physical Therapy of the Low Back, Churchill Livingstone, New York, 2000, p.p 25-26 & 43-51. 21. Anderson DBJ, Nachemson, AL. Intervertebral disc pressures during traction. Scand J of Rehab Supple 1983; (9):88-91. 22. Colachis S, Strom J: Cervic al traction. Arch Phys Med 1965 (64):815. 23. Harris P: Cervical traction: Review of liturature and treatment guidelines. Phys Ther (57):910, 1977. 24. Braaf MM, Rosner S. Recent concepts in treatment of headache. Headache, (5):3844 1965. 25. Cyriax J: The treatment of lumbar disc lesions. British Medl Jour Dec.23 14341438. 26. McElhannon JE: Physio-therapuetic treatment of myofascial disorders. Anaheim Hills, CA. : James McElhannon. 27. Deyo RA, Loeser JD, Bigos SJ. Herniated lumbar intervertebral disc. Ann Intern Med 1990:(112): 598-603. 28. Breig A, Troup J: Biomechanical considerations in the straight leg raise test. Spine 1979; (4):242. 30. Greenstein GM: Clinical assessment of neurological disorders. St. louis, Mosbyyear book, Inc. 1995. 31. 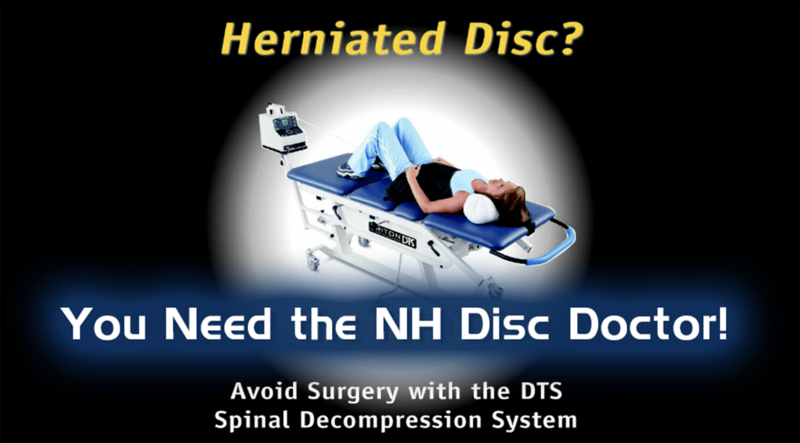 Weber H: The natural history of disc herniation and the influence of intervention. Spine 1994 (19): p.p. 2234-2238. 32. Saal JA, Saal JS: The non-operative treatment of HNP with radiculopathy: an outcome study. Spine 1989 (14): p.p. 431-437. 33. Komori H, Shinomiya K, et al., The natural history of HNP with radiculopathy. Spine (21): 225-229, 1996. 34. Quain MB, Tecklin JS,: Lumbar traction: it's effect on respiration. Phys Ther 1985; 65 (9): 1343-6. 35. Krause M, et al: Lumbar traction: evaluation of effects and recommended application for treatment. Man Ther 2000, May;5 (2): 72-81. 36. Gillstrom P, Erickson K,: CT exam of influence of autotraction on herniation of lumbar disc. Arch Orthop Trauma Surg 1985; 104(5):289-93. 37. Beurskens AJ et al: Efficacy of traction for non-specific back pain. Spine 1997 Dec 1 ;(23): 2756-62. 38. Laban MM et al: Intermittant cervical traction: a progenitor of lumbar radicular pain. Arch Phys Med Rehab 1992 Mar;73 (3):295-6. 39. Pellecchia GL: Lumbar traction: a review of the liturature. J Orthop Sports Phys Ther 1994 Nov:20 (5): 262-7. 40. Austin R: Lumbar traction a valid option. Aust J Physio 1998; 44 (4):280. 41. Constantoyannis C, et al: Intermittent cervical traction for radiculopathy due to large-volume herniated discs. JMPT 2002 Mar; 25 (3). 43. Grieve G: Mobilization of the spine. Churchill Livingstone NY, 1991: p.p 273283. 44. Martin M, Ramos G: Effects of vertebral axial decompression on intradiscal pressure. J Neur 81: 350-353, 1994. 45. Richardson C, Jull Get al: Therapeutic exercises for spinal segmental stabilization in low back pain. Churchill Livingstone NY, 1999. 46. Dullerud R, Nakstad P: CT changes after conservative treatment for lumbar disc herniation. Acta Radiol Sept;35(3):415-9, 1994. 47. Quain MB, Tecklin JS: Lumbar traction: its effect on respiration. Phys Ther Sept;65 (9):1343-6, 1985. 48. Mcgill S: Low back disorders (evidence-based prevention and rehabilitation). Human Kinetics, 2002. 50. Saal JS, Saal JA: Nonoperative management of herniated cervical IVD with radiculopathy. Spine 1996 Aug 15;21(16): 1877-83. 51. Weatherall VF: Comparison of electrical activity in the sacrospinalis musculature during traction in two different positions. J Ortop Sports Phys Ther 1995;(8): 382390. 52. Letchuman R, Deusinger RH: Comparison of sacrospinalis myoelectric activity and pain levels in patients undergoing static and intermittent lumbar traction. Spine 1993;18(10): 1361-1365.